Comedy Of Chicago: Interview with Tim Meadows ! Interview with Tim Meadows ! So... Tim Meadows was cool enough to do an interview with us.... Wait I'll let that sink in. Now rewind. Freaking TIM MEADOWS, Hollywood actor, Second City alum and one of the LONGEST running cast members on Saturday Night Live, was cool enough to do an interview with us. I assume most of you are familiar with what this man has accomplished in his long and distinguished career so I won't regurgitate his resume or drag out this introduction any longer, other than to say it's a great honor to post his words here. 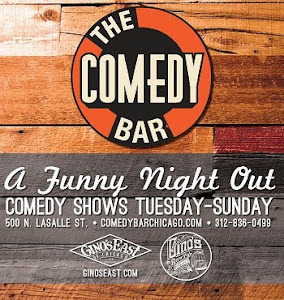 Comedy Of Chicago: Word on the street is that you just showed up at Coles bar for an open mic, then performed another gig at a local showcase in Lincoln Park a few weeks later. What triggered these two appearances at smallish rooms, and are these impromptu gigs something local comedy fans can look forward to in the future? Tim Meadows: I had ran into Evers Mainard who works at a Starbucks I go to a lot. She told me she was a stand up comedian. I asked her about places to perform and she mentioned Cole's and your web site. I've been doing a group improv show with two Second City alums, Joe Canale and Brad Morris. We started performing at colleges and a few comedy clubs around the country. We didn't really know what the format for the show would be when we formed. At our first show Brad and Joe were late because they were still performing at Second City. We had to start the show, so I asked the stage manager to play music and we will just start the show. My intention was to just go out and talk to the audience; explain that Joe and Brad was late, and then tell stories. I told a few jokes that I had used on talk show and then just did crowd work until they showed up. When Brad and Joe arrived we did a 3 man long form improv and it went great. The show really did create itself. I decided to develop the stand up portion of the show. I began writing bits and stories and jokes and trying them out on stage. I was fascinated by the process of writing stand up. I read a bunch of books, (Franklin Ajaye and Steve Martin among others) and talked to friends of mine that are in comedy. I live in Chicago (Divorced. Kids. Looong story) and I wanted to try out some ideas on stage. I went to Zanies and Coles and I did a showcase at a club on Fullerton that was a lot of fun but I wasn't interested in doing a showcase. I just wanted to get on stage a try some bits and ideas and see if the audience thought they were interesting or funny. I found that the showcases are for much more polished material. I've been invited to a lot of showcases but I don't want to take time away from some people who are on their way up. I'm going to continue to do more when I'm home. I'm going to try to get them all. I did a showcase at Comedy Sportz on Belmont one night. That was a challenge. It was the first time I went up after a headliner. The audience was great and it turned out great. I use great a lot. COC: You got your start right here in Chicago doing improvisation. Many comedians in Chicago started in improv then switched to stand up. Very few performers do both. Whats your take on improv vs stand up? 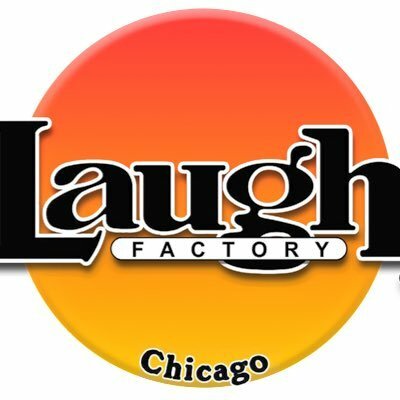 COC: Why is Chicago a great comedy town?